Lately, I have been involved in several unattended Victron systems. Some of these being large scale containerised systems, such as the one shown above. And now that I think of it; as a system designer or installer you could consider almost all systems as unattended, as there will rarely be a trained Victron technician/installer onsite all of the time. In that case and in this post I’ll highlight several ideas that I have either seen or that have come to mind whilst helping to make such systems robust and foolproof. Install a large manual bypass switch, which connects the AC input directly to the loads. This will prove invaluable in case the Multis or Quattros need a configuration change, or on occasion some other maintenance. A three-phase setup that moves around as a container based system, for example from outdoor event to outdoor event, will have different loads as well as a different genset and mains supply at every event. It’s likely in that case that there will be a genset connected at some point with incorrectly wired phase rotation. As a result of that the Multis or Quattros will reject the input and stay in inverter mode, consequently draining the batteries. 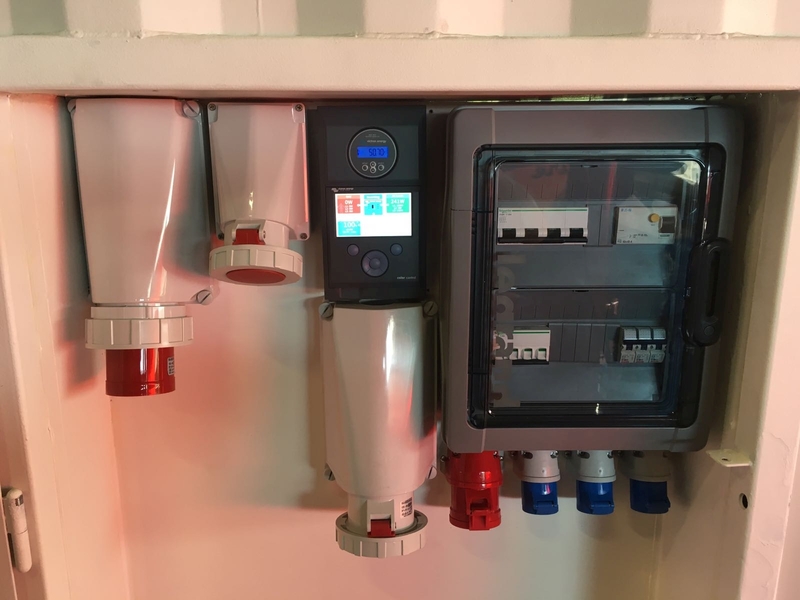 The solution is to take a set of screwdrivers and rewire the three-phase plug on the genset, but that costs time and perhaps even a mandatory discussion with the genset supplier. Mounting a simple changeover switch that can swap two of the phases is a nice solution which instantly fixes the phase-rotation issue, without stalling the event. Besides manual switching there are also automatic devices available to do this. When it comes to monitoring, mount simple analogue volt meters on the input as the Color Control GX will not show input voltages when AC input is either ignored or not accepted because of phase rotation. For more basic information of how to wire and configure a larger Victron system, see our manual on parallel and three phase systems. Which battery technology to use? Lithium? GEL or AGM? OPzS? How often will the battery be cycled? If say once a week, then 52 cycles a year. For such a low cycle use case, don’t be so sure that a Lithium pack is worth the investment. However, when cycled every day, it could well be that Lithium is worth the investment. Beware of the capital cost risk though; even with all the security and BMS-es it is quite easy to destroy a lithium battery pack. Damaging a lower cost lead-acid based battery bank is less of a disaster. An earlier blog discusses the various merits of two battery types: Lithium-ion vs AGM. When using lead acid batteries, consider adding our battery balancers to enhance the lifetime of the pack. And wire an alarm lamp or something else that is really obvious to users thereby ensuring a faulty battery is noticed in time – before it causes the whole bank to get damaged. For large battery banks, work with large 2V cells in series. Combining lots of 12V batteries in parallel and in series is a recipe for disaster. BMV 700 series and Color Color GX shown in centre of photo, along with appropriate plugs, sockets and RCDs/Breakers; all fitted behind a secured panel on the side of the container. Install a Battery Monitor, like the BMV-700 series. It will keep a record of essential historical parameters, like minimum battery voltage ever seen, max battery voltage ever seen, total energy used to charge, total energy discharged from the battery and other useful information. This will help in evaluating what has happened to the battery and its ‘state of life’. Of course in an AC only setup you could use the built-in battery monitor of the Multi, but that will (A) be less accurate and (B) will not have a list of historical parameters. Take extra care that the Color Control GX and any mobile broadband router and/or other communications equipment does not power down when the VE.Bus system is switched off. Use for example a separate small inverter to power them or power them straight from the battery. Use wired Ethernet (a RJ45 LAN cable) for communication between the internet router and CCGX. Don’t use Wi-Fi. Although fine in a house, Wi-Fi is not meant for an unattended setup. Think about it, have you ever seen computer servers with Wi-Fi cards in a data centre? 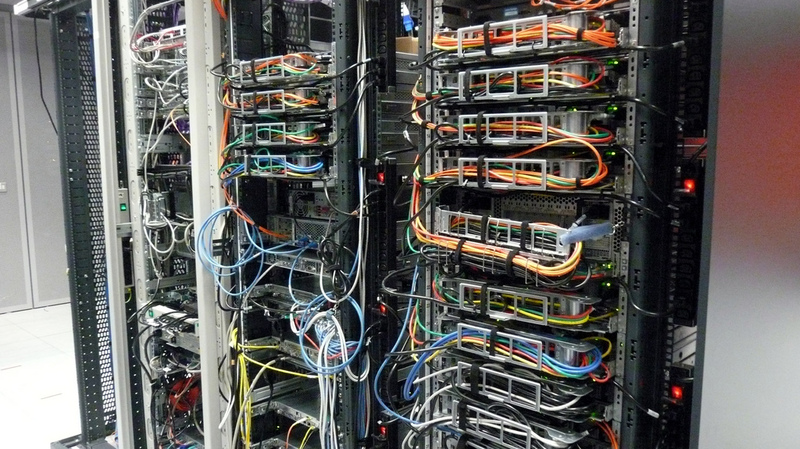 Instead, all servers in a data centre each have at least two (!) Ethernet connections to the rest of the system. Several customer cases have already shown that Wi-Fi is not reliable enough for an unattended setup in a mission critical installation. In case of a cellular as opposed to a fixed internet connection, use a 3G (or 2.5G, 4G) router that is designed for unattended setups. Do not use a consumer mobile routers, intended for business or leisure travel. The more expensive professional router will quickly pay for itself and won’t require you to travel up and down to site, only to find out that all it needed was a power cycle. Examples of such professional routers are the H685 4G LTE from Proroute, as well as the Industrial 4G router range from Pepwave. Note that these are just two which have been recommended to me by customers. I have not tried them myself. There are many more out there, so please post your experiences below or on this off-grid monitoring blog-post, which is all about 3G and 4G routers. And, use ethernet to connect the 3G router to the CCGX. Do not use Wi-Fi for this. Disable auto updates on the CCGX: there is no need to update a running and well working system. Do make a habit of regularly updating it when you have time and are around a bit longer to make sure all still works 100%. Enable Remote Console for VRM / Internet. Enable Two way communication: remotely change the configuration of the Multis or Quattros. Enable Remote Support: allows login by a Victron engineer in case of problems that can’t be solved in another way. Ensure that you install a microSD card in the CCGX. This allows the CCGX to save readings for longer than 48 hours if the internet connection is down or of poor quality. More details here in the CCGX manual. Use the highly configurable genset start/stop functionality on the CCGX. Besides just making the genset start, also configure the BMV to close its relay in case the Battery Voltage or SOC drops below the thresholds that should have triggered a genset start. And wire a siren or otherwise very visible or audible alarm to that relay. And train the people close to the container to watch out for that. I know that there are thousands of similar Victron setups out there, all over the world. Please post and share your ideas and recommendations below, making this a very complete handbook for unattended setups. 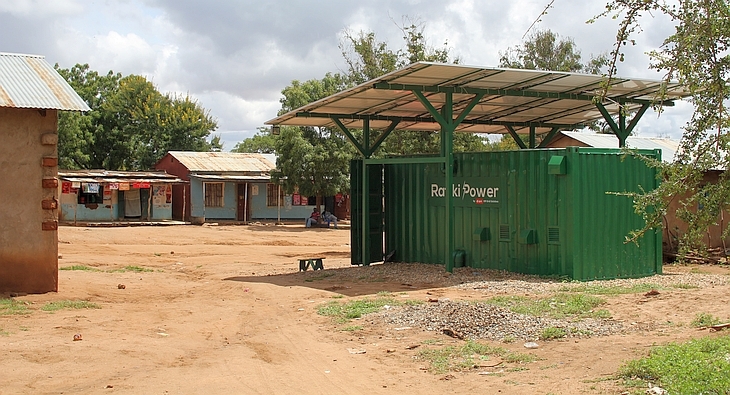 Headline image courtesy of E.ON Off Grid Solutions GmbH, trading under the brand name Rafiki Power and operating as a service provider for off-grid energy solutions in East Africa, with offices in Düsseldorf and Arusha (Tanzania).